Director Choo Chang-ho said he wanted to explore the evil within people, which is exactly what he did in the “Seven Years of Night.” But he does more than depict someone who does the unforgiveable; he points his camera at the human elements that lurk inside what is told to be evil. The thriller, based on a novel of the same name, centers on two men. Choi Hyun-soo -- played by Ryu Seung-ryong -- is an average, middle-aged man who unintentionally commits the heinous crime of killing a young girl, then throws her body into a reservoir. Oh Young-je -- portrayed by Jang Dong-gun -- is a wealthy doctor and the father of the murdered child, and sets out for revenge against Choi. The plot sounds almost too familiar. The story of a vengeful family member has been done so many times in the movies before, but the film’s main point of emphasis is not the revenge. It is the psychology of the two men involved. In any other story, Oh would be the heroic father out to avenge his loved one. But Oh is actually a psychopath who has shown no sympathy whatever for his daughter. To him, losing the lovely Se-ryeong, played by Lee Re, means no more than losing any other valued possession. The film actually does not spend much energy on the revenge itself, but focuses instead on the psychology of the two men. The film devotes a big chunk of time depicting Choi, with the weight of his sin coming down on him to crush him mentally. Ryu is as brilliant as ever, but his character of Choi is not the most interesting element of the story. He is far from bland, but his motivation and actions over the course of the plot are fairly predictable. The far more interesting character actually is Oh, and Jang captures the remorseless nature of the character through his portrayal. Choo noted that he wanted to depict Oh as more than just a psychotic killer, but one who has a story behind him. This seems to be the driving theme of the movie, to look past people’s actions and dig deeper into their minds. Cho tastefully moves the characters through the story to deliver compelling images and emotions. Go Kyung-pyo, as Choi’s son Seo-won, is on point in depicting youth wavering between love for his father and disdain for what Choi has brought upon, and Song Sae-byeok delivers credibility and weight to his role with his ever-reliant talents. The only problem is the movie is too predictable to thrill. From the article about Hyun’s crime, read tauntingly by Seo-won’s classmates in the second act, it is clear enough how the plot will go. It may be a good drama, but it is just not suspenseful enough for a crime thriller. 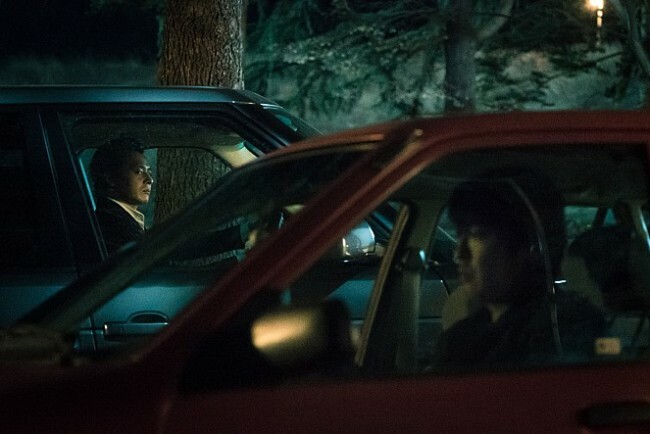 The quasi-supernatural element behind Choi Hyun-soo’s recurring nightmare is hit and miss. Some may think it adds to the depth of Choi’s character, while others will find it too dragged out for the payoff. While Oh’s character is memorable, its underdevelopment is regrettable. Instead of an extensive backstory for Choi, a few minutes devoted to how Oh became so evil could have worked better. It seems clear the director’s intent is not to just depict him as pure evil. “Seven Years of Night” opens in local theaters on Wednesday.